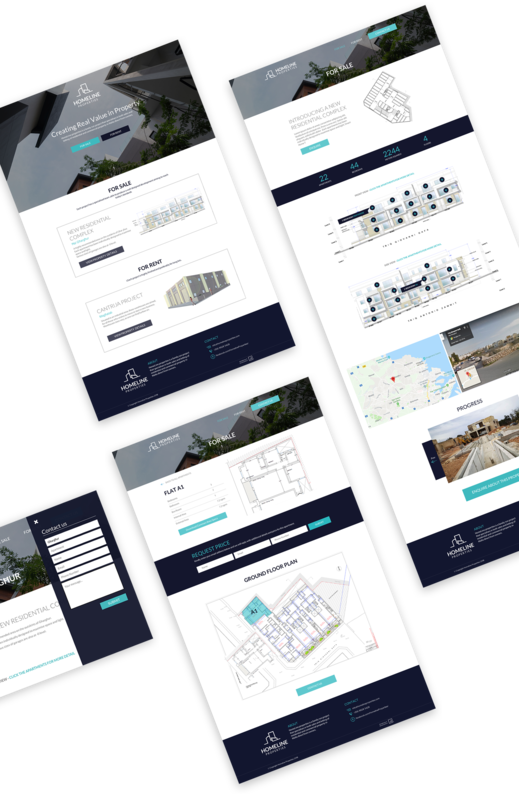 Homeline required a sleek and striking brand and website to showcase their talent in the competitive Maltese property market. We created a logo which represents the architectural beauty and offerings available to both sales and lettings markets - for both residential and commercial clients. This balance needed to come across in a smooth branding exercise, which then reverberated throughout the website. Importantly, we developed the ‘hotspot’ tool which makes it easy for a user to visualise a property. They can wander the area as if they are there, and imagine the space around them. The website is focused on sharing information automatically with a client, as well as saving their information for future visits.